Natassja dos Anjos before Isabel Marant. Labels: Natassja dos Anjos, Paris Fashion Week AW 2011; Paris Street Style. some people are simply cool and stylish. 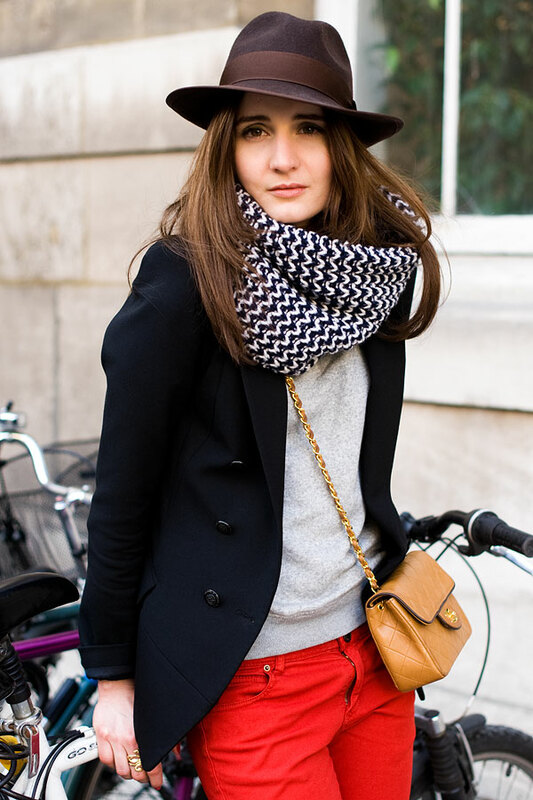 love her camel chanel bag against the flashy red pants! I love this! and I love reading your blog. I have reposted some of your images on my blog, let me know if this is a problem. That's Nat from http://fashioncoup.com by the way! @Carola- ahhhh thank you!!! I think a lot of people will appreciate knowing that! I totally love this look....nice pants! LOVE this outfit. Simple yet timeless.